We have also launched a competition on Facebook for a lucky mum to win a gorgeous gift basket, chosen especially for her. All you have to do is 'like' us on Facebook & then post a comment on our wall telling us why your mum deserves to win. 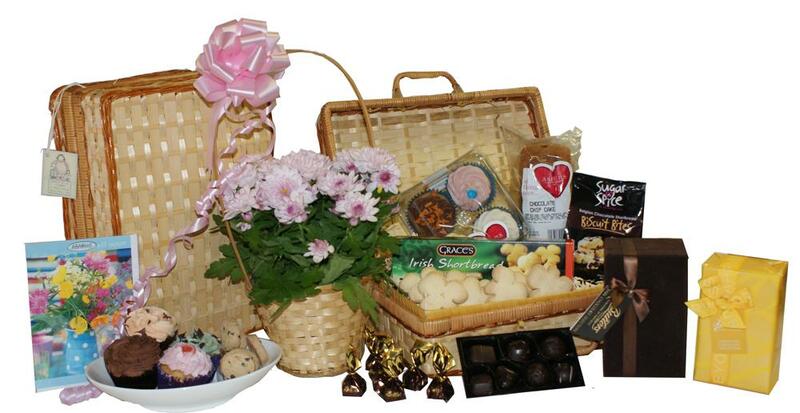 Also include a link to the gift basket you would like to win for her. Easy! A winner will be announced early next week. Mother's Day deliveries will be taking place on Thursday 31st March and Friday 1st April (April Fools! ), as couriers do not deliver at weekends in Ireland. There might be an option to arrange a Saturday delivery in Northern Ireland. There would be a surcharge though, as it is not a standard courier service. If you would like to check the possibility & get a quote for delivery, please give us a call or drop us an email. So celebrate mums everywhere and send her that perfect Mother's Day pressie to make her day!